"Forlán" redirects here. For his father, see Pablo Forlán. This name uses Spanish naming customs: the first or paternal family name is Forlán and the second or maternal family name is Corazo. Diego Forlán Corazo (Spanish pronunciation: [ˈdjeɣo foɾˈlan] ; born 19 May 1979) is a Uruguayan professional footballer who plays as a forward. A prolific goal scorer, he is regarded as one of the greatest Uruguayan players of all time. At club level, Forlán is a two-time winner of both the Pichichi Trophy and the European Golden Shoe. With Uruguay, he had huge individual success at the 2010 World Cup receiving the Golden Ball, the joint Top Scorer award, the Goal of the Tournament award and being named in the Dream Team. In Spanish football, the Trofeo Pichichi is awarded by the sports newspaper Marca to the top goalscorer of each La Liga season. Named after the Athletic Bilbao striker Rafael "Pichichi" Moreno, the trophy has been awarded annually since the 1952–53 season. All top scorers who preceded the award's creation were retroactively named Pichichi winners by Marca. Since the 2014–15 season, the top scorer of the Liga Iberdrola is also awarded the Pichichi Trophy. Forlán joined Argentine club Independiente after rising through their youth team, and after a successful four-year spell, he signed for Manchester United of England. His form for United was not as successful as at Independiente, although he won the Premier League in 2002–03 and the FA Cup in 2003–04. In the summer of 2004, he moved on to Spanish side Villarreal. In his first season in Spanish football with Villarreal, Forlán scored 25 league goals and won the Pichichi Trophy. After two more successful seasons with Villarreal, Forlán joined Atlético Madrid, where he once again became the league's top scorer, and became the first player to win the Pichichi Trophy twice since Ronaldo achieved this feat in the 2003–04 season. Forlán scored in Atlético's 2010 Europa League final victory against Fulham. In 2011, he joined Inter Milan of Italy before moving to Internacional in 2012. Club Atlético Independiente is an Argentine professional sports club, which has its headquarters and stadium in the city of Avellaneda in Greater Buenos Aires. The club is best known for its football team, which plays in the Primera División and is considered one of Argentina's Big Five football clubs. Independiente holds a longstanding rivalry with neighbor club Racing in the Avellaneda derby, referred to as El Clásico de Avellaneda. Forlán also had a successful international career, scoring 36 times for his country since his 2002 debut to his retirement on 11 March 2015, including one at the 2002 FIFA World Cup. He was the joint top scorer by scoring five times as Uruguay came fourth at the 2010 World Cup, being recognised with the Golden Ball award for the best player at the tournament. 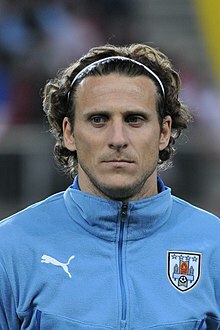 On 12 July 2011, at the 2011 Copa América in Argentina, which Uruguay won, Forlán earned his 79th international cap, against Mexico, breaking the record held by former goalkeeper Rodolfo Rodríguez since 1986. 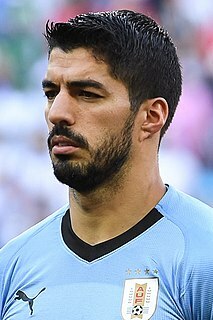 On 20 June 2013, in a match against Nigeria at the 2013 Confederations Cup, he became the first Uruguayan to win 100 caps. Forlán was Uruguay's all-time leading top scorer from 2011 until Luis Suárez overtook him two years later. Born in Montevideo, Forlán, son of former player and Uruguayan international Pablo Forlán, was a tennis player in his youth. [ citation needed ] He decided to follow the occupation of his father in playing football when his sister Alejandra was involved in a horrific car accident, which killed her boyfriend and left her in intensive care for five months and handicapped thereafter. In 1995, when he was 16, Forlán was brought to France by manager László Bölöni, and spent several months on trial at AS Nancy. However, the club opted against signing him, and Forlán returned to South America. Pablo Justo Forlán Lamarque is a retired Uruguayan footballer, the father of Diego Forlán, and son-in-law of Juan Carlos Corazo. His mother was of Uruguayan and Spanish descent. Sir Alexander Chapman Ferguson is a Scottish former football manager and player who managed Manchester United from 1986 to 2013. He is considered one of the greatest and most successful managers of all time. Forlán was strongly linked with a move to Spanish clubs Levante and Athletic Bilbao (although Athletic only permit Basque players, Forlán is of Basque descent),  but on 21 August 2004 he signed with Villarreal. His goal rate declined in the 2005–06 season as Villarreal underwent several changes, yet the club reached the semi-finals of the Champions League where they were knocked out by Arsenal. In 2006–07, he ended the season with 19 goals in 36 league appearances. Forlán was linked with a transfer jointly with Juan Román Riquelme to Atlético Madrid in exchange for Luis Perea plus cash in June 2007. On 30 June 2007, following the departure of their captain Fernando Torres to Liverpool, Atlético Madrid confirmed that they had agreed to a fee of around €21 million. He returned to England in February 2008 to take part in Atlético's UEFA Cup clash against Bolton Wanderers (the club against whom he made his Manchester United debut), but the side lost out 1–0 on aggregate. In May 2008, Forlán helped Atlético qualify for the Champions League for the first time in over a decade, scoring the winning goal against Deportivo de La Coruña. He ended his first season in Madrid with 23 goals and formed a potent partnership with Argentinian striker Sergio Agüero. On 9 May 2009, Forlán scored twice against Espanyol to help Atlético clinch Champions League qualification for a second successive year. Los Rojiblancos were trailing 2–0 at half-time and had seen Luis Perea sent off, but came back to win 3–2 thanks to a goal of the season contender from Forlán, as well as a last minute winner. He also scored crucial goals in wins over Barcelona, Villarreal and Valencia. On 23 May 2009, Forlán scored a hat-trick against Athletic Bilbao, which helped him win the La Liga Pichichi Trophy, as well as the European Golden Boot for a second time. He ended the 2008–09 season with a very impressive 32 goals in 33 matches. 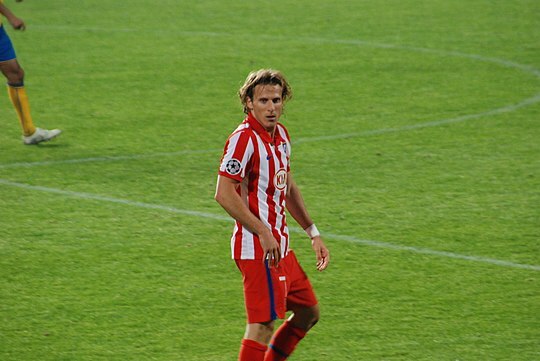 Forlán playing for Atlético Madrid. Forlán started the 2009–10 season slowly, and struggled for form as Atlético made their worst start to a league season since their relegation in 2000. On 24 October 2009, Forlán scored a penalty and missed another as Atlético were held to a 1–1 draw at home against Mallorca, who had played the majority of the second half with just nine players on the field. The disappointing result and performance led to protests from Atlético supporters,  as well as criticism for Forlán, who was subsequently left out of the squad for the next game. Atlético started to improve after the arrival new manager Quique Sánchez Flores, and once again, Forlán flourished in the second half of the season, as Atlético reached the finals of both the Europa League and Copa del Rey. On 14 February 2010, Forlán scored the first goal as Atlético beat Barcelona 2–1 at the Vicente Calderón, inflicting the eventual Champions only league defeat of the season. On 22 April 2010, Forlán scored the only goal of the game in Atlético's Europa League semi-final first leg at home to Liverpool. A week later, Liverpool took the tie to extra time before taking a 2–1 aggregate lead. Forlán then scored again to make it 2–2 on aggregate, giving Atlético the away goal they needed to reach the final, in which they played against Fulham at Volksparkstadion, Hamburg, on 12 May. Forlán scored twice against Fulham in the final, in a 2–1 win and was awarded man of the match. He ended the season with a total of 28 goals, including six in Atlético's successful Europa League campaign. On 29 August 2011, it was confirmed that Diego Forlán had joined Inter Milan as a replacement for the departing Samuel Eto'o. No financial details were announced but it is believed the 32-year-old signed an initial two-year deal. He made his debut on 11 September 2011, scoring with a high left foot shot in a 4–3 defeat at Sicilian club Palermo. On 4 March 2012, Forlán scored his second goal for Inter against Catania in a 2–2 draw. In April, Forlán declared his loyalty to Inter and his intention to stay when he told Sky Sports that "I want to stay at Inter. You haven't seen the real Forlán yet... I wouldn't want to leave Inter like this. I like challenges and I wouldn't want to leave when the team are not in a good position." In June, his father confirmed the belief that the striker would see out his contract with the Nerazzurri. On 5 July, however, after only scoring twice in 22 appearances, the Italian club confirmed that he had been released, terminating the final year of his contract. Forlán has stated that his poor performance with the Nerazzuri was due to being played out of position. In addition, former Inter and Uruguay player Álvaro Recoba believed that his compatriot struggled at Inter due to the success of his predecessor Samuel Eto'o, which led Forlán to fail to live up to expectations. On 22 January 2014, Forlán signed an 18-month deal with Japanese J1 League side Cerezo Osaka. He made his AFC Champions League debut in a 1–1 draw with Pohang Steelers, and his J. League debut in a 1–0 loss against defending champions Sanfrecce Hiroshima. He scored his first goal for Cerezo in a 4–0 win over Buriram United in an AFC Champions League match. On 12 April, Forlán scored two goals in the Osaka derby against local club rivals Gamba Osaka. He scored a crucial goal against Shandong Luneng on 23 April to put his team through to the knockout stage of the AFC Champions League. Cerezo Osaka were knocked out in the first round by Guangzhou Evergrande, losing 5–1 at home in the first leg. In spite of the disappointing home defeat, they managed to secure a 1–0 away win after an own goal by Liao Lisheng. However, this was not enough to overcome the 5–2 aggregate lead. Having been relegated in his first season to J2 League, he started off the new campaign with a goal against Tokyo Verdy drawing 1–1. Forlán scored his first hat-trick against Kyoto Sanga FC on 29 April 2015, his side winning 3–0. On 10 July 2015, Forlán signed an 18-month contract with his boyhood club Peñarol. In his only season at club, he scored 8 goals in 31 appearances as the club won the championship title. On 14 June 2016 at a press conference, Forlán said he would be leaving the club. Forlán made his debut for Uruguay on 27 March 2002, scoring his first goal in a 3–2 friendly defeat against Saudi Arabia. During the 2002 World Cup, he scored a volley on 11 June 2002 in the group stage 3–3 draw against Senegal. Despite coming from three goals down to draw the game, Uruguay were eliminated from the tournament along with France in Group A.  Diego Forlán and Youri Djorkaeff were, respectively, members of the Uruguay and France squads that met in the 2002 World Cup, in Group A. Their respective fathers, Pablo and Jean, featured in the match between Uruguay and France at the 1966 World Cup, which was also in Group A.
Forlán wore the number 21 for Uruguay at the 2004 Copa América in Peru, shortly before his transfer from Manchester United to Villarreal. He played all six games as they, under the management of Jorge Fossati, came third. Forlán's only goal was in the 2–1 victory over Ecuador, Uruguay's only group win. They advanced in third place out of four in the group. On 16 June 2013, Forlán appeared as a 69th-minute substitute in Uruguay's opening 2013 Confederations Cup match against Spain. In Uruguay's second group game, a match where won his 100th cap for his country, Forlán scored the winning goal to defeat Nigeria 2–1. He was subsequently rested for the next match against Tahiti. He was again in the starting line-up as Uruguay lost 1–2 to Brazil in the semi-final, where he had a penalty kick saved by Brazilian goalkeeper Júlio César. Tiago Cardoso MendesOIH, known simply as Tiago, is a Portuguese former footballer who played as a midfielder, and is the assistant manager of Spanish club Atlético Madrid. Wesley Sneijder is a Dutch professional footballer who plays as a midfielder for Qatar Stars League team Al-Gharafa SC. He was named UEFA midfielder of the season and one of the three best midfielders in the world for 2010 by FIFA. A product of the AFC Ajax Academy, he previously played for Ajax, with whom he won four trophies and was awarded the Johan Cruyff Trophy in 2004. He was sold to Real Madrid for €27 million in 2007, winning La Liga in his first season with the club and later being sold to Internazionale for €15 million. At Inter, he won Serie A, the UEFA Champions League, the FIFA Club World Cup, and two Coppa Italia. After being sold to Galatasaray for €7.5 million in 2013, he helped the club win the Süper Lig in his first season, following with the capture of the Turkish Super Cup, after a 1–0 win against rivals Fenerbahçe. José Francisco Molina Jiménez is a Spanish retired footballer who played as a goalkeeper, and is the sporting director of the Royal Spanish Football Federation. Fernando José Torres Sanz is a Spanish professional footballer who plays as a striker for J1 League club Sagan Tosu and the Spain national team. Florent Stéphane Sinama Pongolle is a French professional footballer who plays as a forward. Diego Alfredo Lugano Morena (Spanish pronunciation: [ˈdjeɣo luˈɣano]; is a Uruguayan former professional footballer who played as a central defender. Diego Alberto Milito is an Argentine former professional footballer who played as a striker. Maximiliano Rubén "Maxi" Rodríguez is an Argentine footballer who plays for Newell's Old Boys. Nicknamed La Fiera, he is commonly used as a winger on both flanks but can also operate as an attacking midfielder. Cristhian Ricardo Stuani Curbelo is a Uruguayan professional footballer who plays for Spanish club Girona and the Uruguay national team as a striker. Antoine Griezmann is a French professional footballer who plays as a forward for Atlético Madrid and the French national team. Juan Cruz Mascia is a professional footballer who plays as a striker for Indian club NorthEast United FC. 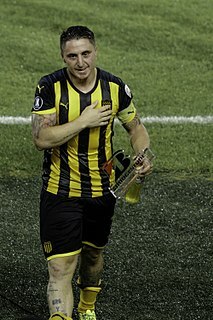 José María Giménez de Vargas is a Uruguayan professional footballer who plays for Spanish club Atlético Madrid and the Uruguay national team as a central defender. The 2016–17 season was Atlético Madrid's 86th season in existence and the club's 80th season in La Liga, the top league of Spanish football. Atlético competed in La Liga, Copa del Rey and UEFA Champions League. 1 2 "2014 FIFA World Cup Brazil: List of Players" (PDF). FIFA. p. 31. Retrieved 2 April 2016. ↑ "Diego Forlán Player Profile - ESPN FC". www.espnfc.com. ↑ "Uruguay's Forlán Wins Golden Ball". The New York Times. 12 July 2010. ↑ "Centurion Forlan downs Nigeria". FIFA. 20 June 2013. Retrieved 8 August 2013. ↑ Rollin, Jack. "Diego Forlán Uruguayan Football Player". Encyclopaedia Britannica. Retrieved 15 October 2018. 1 2 "Games played by Diego Forlán in 2001/2002". Soccerbase. Centurycomm. ↑ Johnson, William (18 January 2002). "Forlan lured by United's deep pool of reserves". The Daily Telegraph . London. Retrieved 1 September 2012. ↑ "United seal £6.9m Forlan deal – Sport – London Evening Standard". Evening Standard. London. 22 January 2002. Archived from the original on 15 September 2012. ↑ "Forlan finish boosts Man Utd". BBC News. 2 November 2002. ↑ "Football goal celebrations: best and worst". The Telegraph. Retrieved 19 October 2018. ↑ "Games played by Diego Forlán in 2002/2003". Soccerbase. Centurycomm. ↑ "Forlan stuns Chelsea". BBC. 18 January 2003. Retrieved 8 August 2013. ↑ "Manchester United 2002–2003". Free-elements.com. ↑ "Games played by Diego Forlán in 2003/2004". Soccerbase. Centurycomm. ↑ "Man Utd win FA Cup". BBC News. 22 May 2004. 1 2 "Games played by Diego Forlán in 2004/2005". Soccerbase. Centurycomm. ↑ "Forlan still sweet on Man United support". FourFourTwo. 22 September 2010. Retrieved 27 September 2014. ↑ "Forlán dona su camiseta al Museo del Athletic" [Forlán donates his shirt to the Athletic Museum]. Canal Athletic. 13 September 2010. ↑ "Henry and Forlan win Golden Shoe". BBC Sport . 30 May 2005. Retrieved 22 March 2014. ↑ "Forlán accepts Atlético offer". UEFA. 30 June 2007. Archived from the original on 6 June 2009. ↑ "Atlético de Madrid confirm return to Europe's elite". soccerway.com. 12 May 2008. ↑ "Atlético Madrid 3–2 Espanyol". ESPN FC. 9 May 2009. ↑ "Forlán claims Golden Shoe and Pichichi awards". UEFA. 1 June 2009. ↑ "Atlético Madrid fans stage protest following Real Mallorca draw". Goal.com. 24 October 2009. ↑ "Diego Forlán Left Out of Atlético Madrid Squad To Face Marbella". Goal.com. 26 October 2009. ↑ "Barcelona suffer first La Liga defeat". The Independent. London. 15 February 2010. Retrieved 24 January 2011. ↑ Ornstein, David (29 April 2010). "Liverpool 2–1 Atlético Madrid (agg 2–2)". BBC Sport . Retrieved 1 May 2010. ↑ McNulty, Phil (12 May 2010). "Atlético Madrid 2–1 Fulham". BBC Sport . Retrieved 13 May 2010. ↑ "Atlético stun Inter in Super Cup". BBC Sport. 27 August 2010. Retrieved 13 November 2010. ↑ "Forlan finds form in Atlético win". Yahoo!. 13 November 2010. Retrieved 13 November 2010. ↑ "Real Madrid fail in bid to sign United flop Diego Forlan from city rivals Atletico". Daily Mail. London. 29 January 2011. ↑ "Forlan: "I'm here and I want to score goals"". Inter.it. 29 August 2011. ↑ "Diego Forlan Joins Inter Milan: Uruguayan Leaves Atletico Madrid for San Siro". CaughtOffside. 29 August 2011. ↑ "Palermo 4 – 3 Internazionale". ESPN Soccernet. 11 September 2011. Retrieved 2 November 2011. ↑ "Internazionale 2–2 Catania". ESPN Soccernet. ↑ "Forlan determined to prove a fit at Inter". FIFA. 13 April 2012. ↑ Kotsev, Vasil (16 June 2012). "Forlan's father rules out imminent transfer away from Inter for his son". Goal.com. ↑ "Inter Milan set to cancel Diego Forlan's contract – ESPN FC". ESPN FC. 4 July 2012. ↑ "Diego Forlán é do Internacional" (in Portuguese). 6 July 2012. Retrieved 6 July 2012. ↑ "Forlán quiere jugar en América". 19 May 2012. Archived from the original on 26 June 2012. Retrieved 6 May 2013. ↑ "León sueña con el uruguayo Diego Forlán". 29 November 2012. Retrieved 6 May 2013. ↑ "Diego Forlan set for Internacional debut". The Hindu. Chennai. 24 July 2012. ↑ "Diego Forlan joins Japanese club Cerezo Osaka". 22 January 2014. Retrieved 22 January 2014. ↑ "AFC Champions League 2014 – Cerezo Osaka 1-5 Guangzhou Evergrande". 7 May 2014. Retrieved 24 December 2014. ↑ "Diego Forlan returns to boyhood club Penarol in Uruguay". 10 July 2014. Retrieved 10 July 2014. 1 2 McTear, Euan (17 August 2016). "Diego Forlán has joined a new club aged 37, giving more hope to late bloomers". The Guardian. Retrieved 30 January 2017. ↑ "Mumbai City 5-0 Kerala Blasters". Indian Super League. 19 November 2016. Retrieved 19 November 2016. ↑ Desk, India.com Sports (2016-12-04). "ISL 2016 Points Table". India.com. Retrieved 2018-11-21. ↑ "Diego Forlan red card, Iain Hume goals: Watch ATK light up ISL 2016 semi final" . Retrieved 2018-11-21. ↑ "ATK vs Mumbai City -". Sportskeeda. Retrieved 2018-11-21. ↑ "傑志落實科蘭加盟 (2018-01-04)" (in Chinese). Kitchee SC. 4 January 2018. Retrieved 4 January 2018. ↑ Chan Kin-wa (14 January 2018). "Diego Forlan kicks off Kitchee career with three-minute cameo in thrilling draw against Southern in Hong Kong Premier League". South China Morning Post. Retrieved 14 January 2018. ↑ "2017-18 BOC Life Hong Kong Premier League - Kitchee 7:0 BC Rangers". Hong Kong Football Association. 28 January 2018. Retrieved 28 January 2018. ↑ "Hat-trick hero Diego Forlan keeps up his personal goal of the season campaign with two more trademark free kicks for Kitchee". South China Morning Post. 3 February 2018. Retrieved 22 April 2018. ↑ Alladin, Unas; Chan, Kin-wa. "Goodbye Diego Forlan, you were something special: Fans turn out in force for Uruguayan's last game for Kitchee". South China Morning Post. Retrieved 13 May 2018. ↑ "Internationals: Forlan, record and disappointment". inter.it. 12 October 2011. ↑ "Héctor Scarone – Goals in International Matches". Rec.Sport.Soccer Statistics Foundation . Retrieved 7 March 2012. ↑ "Diego Forlan Corazo – International Appearances". Rec.Sport.Soccer Statistics Foundation. Retrieved 24 January 2011. ↑ "2002 Matches – Intercontinental (January – March)". Rec.Sport.Soccer Statistics Foundation. Retrieved 24 January 2011. ↑ "Senegal cling on to qualify". BBC Sport. 11 June 2002. Retrieved 24 January 2011. ↑ "Senegal cling on to qualify". BBC Sport. 11 June 2002. Retrieved 16 June 2010. ↑ "Copa America: Brazil eliminates Uruguay on penalties". International Herald Tribune. 29 March 2009. Archived from the original on 2 December 2008. Retrieved 26 June 2010. ↑ "Uruguay 6–0 Peru". ESPN Soccernet. ESPN. 17 May 2008. Retrieved 16 June 2010. ↑ "Uruguay 1–1 Ghana (aet)". BBC Sport. 2 July 2010. Retrieved 2 July 2010. ↑ "Uruguay 2–3 Netherlands". BBC Sport. 6 July 2010. Retrieved 6 July 2010. ↑ "Happy Holland edge Uruguay 3–2 to reach their third World Cup Final". sportsfeatures.com. 6 July 2010. Archived from the original on 16 July 2011. Retrieved 6 July 2010. ↑ "Goal of the tournament. FIFA Worldcup 2010". Archived from the original on 21 October 2013. ↑ "Uruguay 2–3 Germany". BBC Sport. 10 July 2010. Retrieved 10 July 2010. ↑ Didonato, Damian. "Blog de Sudafreaka 2010 – ESPN Deportes". ESPN. ↑ Perez, Damian. "Forlan follows in family footsteps with Copa America win". (Reuters) Yahoo.Sports. Archived from the original on 6 October 2011. Retrieved 25 July 2011. ↑ McNulty, Phil (28 June 2014). "Colombia 2–0 Uruguay". BBC Sport. Retrieved 15 July 2018. ↑ "Forlan announces international retirement". FourFourTwo. 11 March 2015. Retrieved 12 March 2015. 1 2 3 "2013 FIFA Confederations Cup Profile: Uruguay, 10 - Diego FORLAN". FIFA.com. Archived from the original on 16 January 2015. Retrieved 3 December 2014. 1 2 3 4 Fletcher, Paul (5 July 2010). "Uruguay's madman with the ice-cool finish". BBC Sport. Retrieved 30 January 2017. 1 2 "Scheda Giocatore: Diego FORLAN" (in Italian). Il Corriere della Sera. Retrieved 30 January 2017. 1 2 Lowe, Sid (11 May 2009). "'Superman' Forlán saves Atlético with another single-handed rescue act". The Guardian. Retrieved 30 January 2017. ↑ "Forlan, quando a Manchester scrivevano: "C'ero quando ha segnato un gol"" (in Italian). F.C. Inter 1908. Retrieved 3 December 2014. ↑ "World Football's 15 Best Two-Footed Players Right Now". Bleacher Report. Retrieved 3 December 2014. ↑ "Two for the price of one". FIFA.com. 16 April 2010. Retrieved 30 January 2017. ↑ "Forlan joins Cerezo amid sizeable hype". FIFA.com. Retrieved 3 December 2014. ↑ "Atletico Madrid: The forward factory". www.givemesport.com. Retrieved 3 December 2014. ↑ "L'Uruguay ai Mondiali" (in Italian). Il Post . 13 June 2014. Retrieved 3 December 2014. ↑ "Lippi bis: "Forlan uomo-assist. Zarate un po' individualista"" (in Italian). F.C. Inter 1908. Retrieved 3 December 2014. ↑ Wilson, Jonathan (25 July 2011). "Uruguay's Copa América triumph ushers in another golden age". The Guardian. Retrieved 30 January 2017. ↑ "Diego Forlan: The Long Range Shooting Artist". 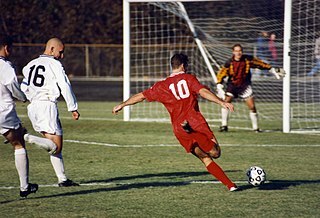 www.soccer-training-info.com. Retrieved 3 December 2014. ↑ Hughes, Rob (6 July 2010). "Leader and Scorer, Yet Not a Finalist". The New York Times. Retrieved 30 January 2017. 1 2 "Diego Forlan Bio, Stats, News – Football / Soccer – – ESPN FC". ESPN FC. ↑ Endlar, Andrew. "Diego Forlan". StretfordEnd.co.uk. ↑ "Diego Forlán » Club matches". worldfootball.net. Worldfootball. ↑ "Player information - Forlan Corazo, Diego". hkfa.com. Hong Kong Football Association. Retrieved 3 February 2018. ↑ "Diego Forlán Corazo - Century of International Appearances". RSSSF. ↑ "Diego Forlán: Overview". Premier League. Retrieved 16 April 2018. ↑ "Spaniards dominate Dream Team". FIFA.com. Fédération Internationale de Football Association. 15 July 2010. Retrieved 5 September 2014. ↑ "James Rodriguez wins World Cup 2014 Goal of the Tournament award after Real Madrid target scored stunning volley for Colombia against Uruguay in their last-16 clash". Daily Mail Online. 21 July 2010. Retrieved 12 August 2016. ↑ Ben Lyttleton: In Suarez's absence Uruguay will lean even more heavily on Forlan at Sports Illustrated , 4 July 2010. ↑ "Coti – Nunca Tendré – Maxi Rodriguez y Forlán". Mazcue.com.ar. Archived from the original on 4 July 2010. Retrieved 26 June 2010. ↑ "Die 'Champions League' der Spielerfrauen". Sport. MSN. 31 May 2010. Retrieved 26 June 2010. ↑ Box-Turnbull, Greig (18 June 2011). "Diego Forlan's wedding to underwear model is called off". Daily Mirror. Retrieved 24 June 2011. ↑ "Diego Forlan Wife Paz Cardoso: Couple Was Married Last Year in Uruguay (+Photos)". 19 June 2014. ↑ "Diego Forlán y Paz Cardoso festejaron el primer añito de Luz en Hong Kong". Subrayado. 17 May 2018. Retrieved 15 October 2018. ↑ "Nació el tercer hijo de Diego Forlan y Paz Cardoso". El Observador. 12 February 2019. Retrieved 22 March 2019. 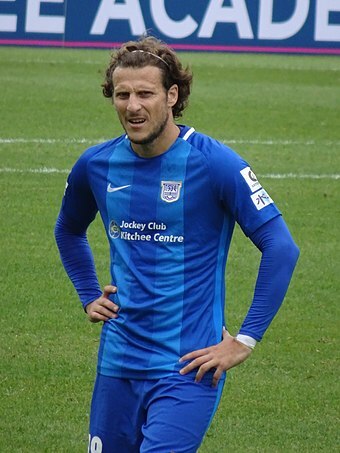 Wikimedia Commons has media related to Diego Forlán .